Note: A new post is available for using the RB450G with Attitude Adjustment (12.09) which is altogether much easier than this. FTTC is available in my neighbourhood and all that is required is a router that support PPPoE. Not difficult really, but most routers are also not powerful enough to cope at higher speeds. The Netgear DG834 v3 I previously used with OpenWrt seems to be able to shift 16Mbit/s, but there is no CPU cycles left for userspace, and it seems it struggles to start new connections when it is running at that speed. I searched around and eventually decided the the RouterBorad RB450G was the nicest option. It features two Gigabit NICs, the second goes onto a 4-port switch which can be used to dice it up into separate networks using VLANs. While the manufacturers OS (RouterOS) is capable of doing everything needed for FTTC, it doesn't seem to be completely happy with IPv6 yet, and the extent to which I can customise it is limited to the interfaces that they provide. OpenWrt would be my choice for being able to get all the flexibility I enjoy, but the only problem is that none of the info I could find provided a complete picture of the level of support for the RB450G and many places reporting that it was not fully working. This may also work for the RB750G which appears to be almost identical to this board apart from having less RAM and Flash. FTTC stands for Fibre To The Cabinet (or Curb). BT call it "Infinity". With conventional ADSL2+ setups, the "last mile" connection is made between your nearest phone Exchange and your ADSL router by copper (or if you are unlucky, aluminium) cable. This is normal phone cable originally intended for carrying voice. The longer it is, the worse your data rate as it has losses and picks up noise between the exchange and your ADSL router. FTTC dramatically reduces this (assuming you have a cabinet with FTTC nearby) as the fibre is run to your nearest green curbside box (cabinet) from where the "exchange side" of the connection is made to your line. This means that the line length can be dramatically shortened and hence much higher data rates are available. In my case it goes from about a a mile down to about 100 meters with FTTC. BT's estimator says my line should achieve 38.5Mbit/s down and 9.1Mbit/s up. 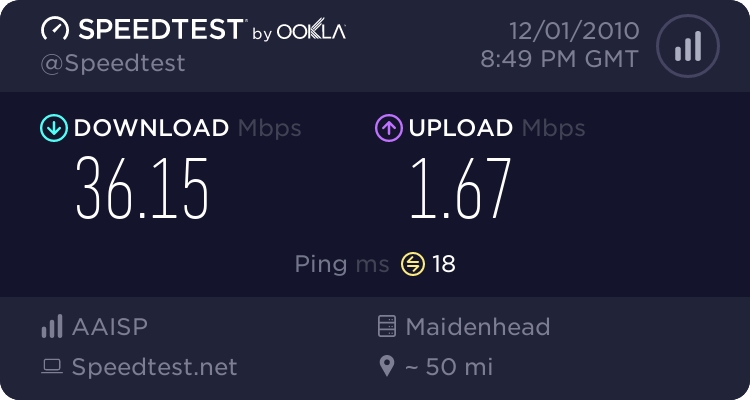 As my line is particularly good (the external cabling comes right in all the way to to the master socket with no joints), and BT are probably being conservative to avoid angry customers, more can often be achieved. Be aware that the 10Mbit/s upstream is an option that currently costs extra with AAISP. OpenWrt Backfire (10.3) is virtually ready to go as it comes. The only thing that needs changing is the hard-coded size for the kernel partition - this needs to be doubled else the kernel fails to write to Flash giving a load of strange errors from freezing the moment it boots to complaining about init not being found. My config (builds initramfs for netbooting) includes useful utilities and snmpd for monitoring and may be used as a starting point for configuration. The RB450G I got had an old version of RouterOS on it, but the bootloader (RouterBoot) is very good and allows booting from NAND Flash as well as from the network with DHCP and TFTP. It has a Serial (RS232) connector on the side and with a Null Modem cable and a USB-serial adaptor at 115.2K 8N1 access to the console and bootloader is easy. To get the RB450G to boot from the network, press any key when prompted at boot, choose 'o' for boot device then 'e' for ethernet. This sets the router to boot off the network only. I installed tftpd-hpa which requires nothing doing to it further under Ubuntu Lucid (my build Virtual Machine). I also installed Apache to deliver the installation images by HTTP, and again, nothing really needs doing to the default config. Once you have the above configured, connect up the RB450G to the network with the DHCP and TFTP. Go into bin/ar71xx/ in your buld tree and copy openwrt-ar71xx-vmlinux-initramfs.elf to /var/lib/tftpboot on your TFTP server. 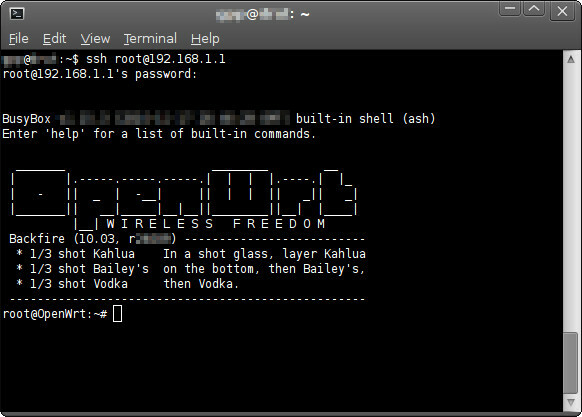 Eventually things should settle down - hit Enter a couple times and you should see a "root@OpenWrt" prompt. Check everything is working nicely - run an ifconfig and check that your interfaces are there, if there are any conflicts in IP addresses then sort them and make sure that you can ping things on both interfaces, specifically the IP address of your HTTP server you are delivering the installation images off. Once you are happy that your installation works then it's time to install it for real. Then hit any key to stop it at the bootloader again. Once again press 'o' to go to the boot device menu and then press 'n' to boot NAND by default again, then 'x' to exit and boot. At this point we have a working router which can boot on it's own and is accessible via ssh. At this point the RB450G think's it's a plain Ethernet-to-Ethernet router, running on a default address and DHCP on the WAN interface. We now need to move it to the correct address, and get it fully configured for use for FTTC with AAISP. For FTTC BT supply a Huawei EchoLife HG612 for use as a PPPoE modem, hence the actual WAN (internet) connection is via PPPoE. Obviously, if you don't do IPv6 or you need other config options then substitute those. On the OpenWrt Wiki is a full list of network configuration options. Next, check if the DHCP options in /etc/config/dhcp match what you need for your network. In my case I only have 2 dhcp addresses for testing an experimentation as the rest of my network is statically routed, so I changed "option start" and "option limit" appropriately. I am using an almost identical firewall config to those in my article on the DG834, but the interface names have changed: eth0 changes to eth1 and ppp0 changes to pppoe-wan. I use /etc/firewall.user and comment out most of /etc/config/firewall, but the choice is yours. This need not be much more than updating the up and down speeds in /etc/config/qos to match your connection. It's always a good idea to have a backup. Like previously I am using dirvish so all that is needed is to put the authorised key in /etc/dropbear/authorized_keys to allow ssh connections by dirvish. The same config used in my article on the DG834 can be used. 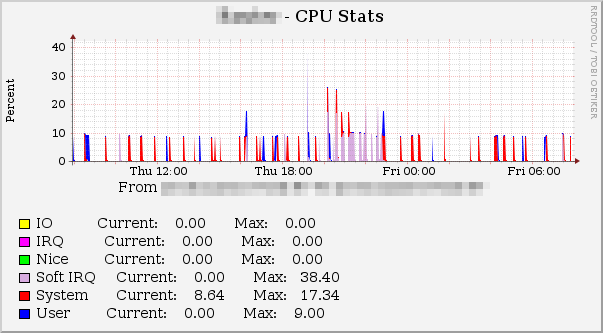 Previously I could monitor the ADSL signal statistics which is no longer possible when running PPPoE, however there is still plenty to monitor. Where possible, I have kept things as close as possibel to what I did for the DG834 including using the busybox http server. On the Cacti server I have another tarball of updated Python scripts to extract in /usr/local/share/cacti/scripts (or that's what I use on Debian anyway). This extracts directly to that directory so be aware it will overwrite any scripts with the same names. Lastly there is a bundle of Cacti templates. Note that many of these are the same or minor updates of templates used for the DG834 routers. If you have the previous templates installed then you may want to clear them out to avoid problems. This caused me a lot of grief. Ethernet has a standard MTU (Maximum Transfer Unit) of 1500. 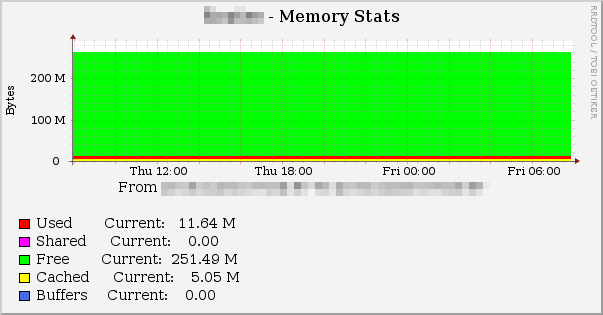 When we run PPPoE, we add an 8-byte overhead making the MTU of the PPPoE connection 1492. OpenWrt and pppd will figure that out for you, but at the ISP end it may need setting on the control pages - tick the MTU1492 option, and kill the PPP to bring that setting in. Technically that does the job and any node sending larger packets gets ICMP type 3 code 4 (can't fragment) sent back to it. The catch is that many smaller sites (includes many advertising services) don't seem to pay attention to it and send larger packets anyway which get thrown and the connection stalls. AAISP also provide a MSS fix titled "TCPFix" which I found also needs to be ticked for compatibility with all sites. Once you have saved those options then kill the PPP connection with the "Kill (LNS)" button and when your router re-connects then everything should be fine. It's been a bit fiddly getting the RB450G up with AAISP, but not as bad as getting OpenWrt running on the DG834v3. Everything seems to work as expected and I have not come across anything that is broken save the kernel space problem patched above. The nice thing about the RB450G is that is has loads of spare processing power. It never seems to break into a sweat or freeze userspace when shifting data at full speed over my internet connection, and I'm sure it can go much faster. Likewise, I am currently only using 2% of the NAND Flash capacity. This board is capable of much more than I am using it for here. The RB450G is so good with OpenWrt that I am tempted to use it for another project where I need to monitor and switch between multiple WAN interfaces automatically. Off the shelf routers can't do this but with OpenWrt I can easily script it up. Lovely to read - didn't realise OpenWRT would fit on the RB products. Did you consider dd-wrt over openwrt? i dont have much experience with openwrt, but i imagine both would work? I was tempted to stick with the RouterOS (however ugly/unhelpful it is) because it has the ability to apply a schedule to a bandwidth limiter, meaning during AAisp's 9-6 period you can slow your bandwidth to help prevent overage charges. Thanks for the compliments - nice to know people are finding it useful. For me, I'm happy working close to the metal and if I wanted I could install cron and script up some config changes so OpenWrt (built from source) suits me, but I'm probably an exception. OpenWrt was as much for the challenge as it was to have massive flexibility (I'm not restrained by a UI - I can script up just about anything I want), and IPv6 seems very mature on OpenWrt compared to RouterOS - certainly at the time I started using it. dd-wrt is one I am aware of but I started with OpenWrt as it is "Open" and never explored further. split_squashfs: error occured while reading from "NAND 512MiB 3,3V 8-bit"